I was digging through my archives today to find an image to compliment a photography training video I was producing and I came across the image below. Captured back in 2007 while on location in Cornwall it shows two gents I stumbled upon at dawn at Kennack Sands launching a small rowing boat and net. They where setting the net to catch Sand Eels to use as bait for their fishing trips and gave me some great images set against the slightly cloudy dawn light. The image I initially picked was the panoramic shown below composited from several frames shot at the same location. Six years on and I have to say I think I know prefer the image above out of the two..just shows how our tastes change over time. 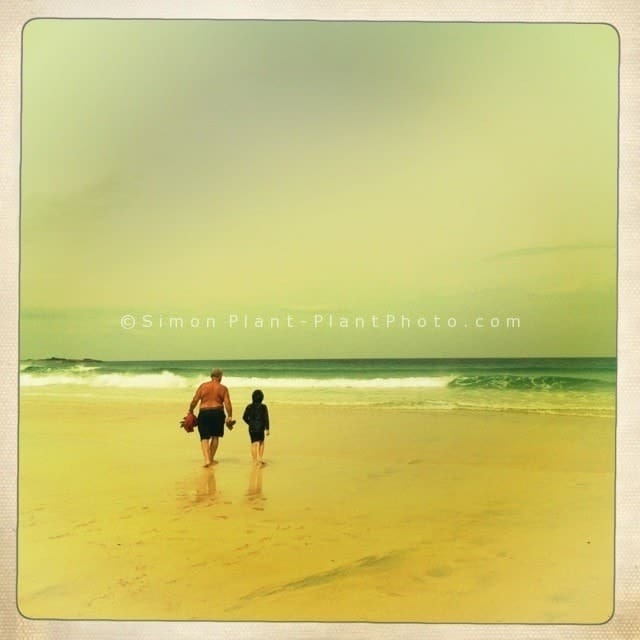 Im currently away on an annual family holiday in St Ives Cornwall. St Ives is very familiar to me as I have been coming here since a child and also lived here for a short period. This means photographing something fresh can be quite a challenge to do but an enjoyable challenge none the less. Also a challenge is shooting on the iPhone but again it can be an enjoyable task as i find myself devoid of camera functions and allowing myself to rely only on my eye to create something interesting. Below is an image shot yesterday and may well be part of one of my iPhone projects once I return.